How a healthy lifestyle can make a difference. Alzheimer's disease, the most common form of dementia, is characterized by the accumulation of two types of protein in the brain: tangles (tau) and plaques (amyloid-beta). Eventually, Alzheimer's kills brain cells and takes people's lives. What causes Alzheimer's? We still aren't sure. "For 1% of all cases, there are three genes that determine definitively whether or not you will have Alzheimer's, and all three relate to amyloid-beta production, which in these cases is likely the cause of Alzheimer's," says Dr. Gad Marshall, associate medical director of clinical trials at the Center for Alzheimer Research and Treatment at Harvard-affiliated Brigham and Women's Hospital. "For the other 99%, amyloid and tau are closely associated with Alzheimer's, but many things may contribute to the development of symptoms, such as inflammation in the brain, vascular risk factors, and lifestyle." Healthy habits may help ward off Alzheimer's. Consider the following steps. Exercise. 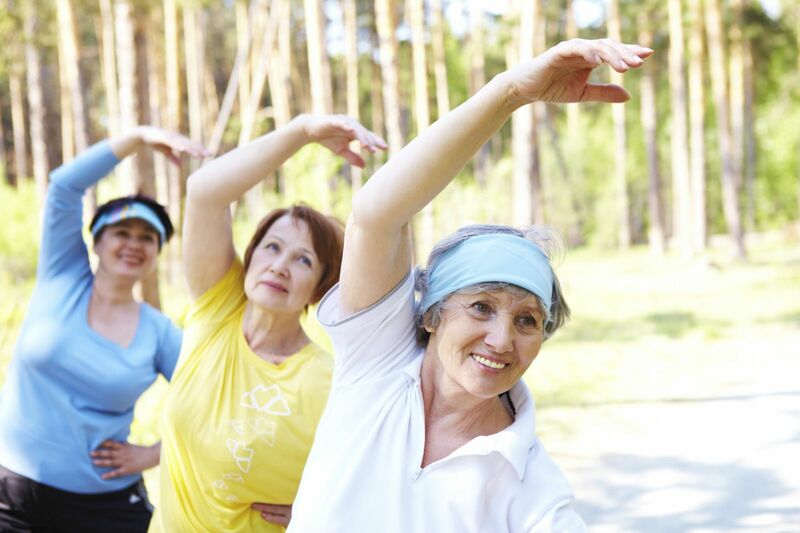 "The most convincing evidence is that physical exercise helps prevent the development of Alzheimer's or slow the progression in people who have symptoms," says Dr. Marshall. "The recommendation is 30 minutes of moderately vigorous aerobic exercise, three to four days per week." Eat a Mediterranean diet. "This has been shown to help thwart Alzheimer's or slow its progression. A recent study showed that even partial adherence to such a diet is better than nothing, which is relevant to people who may find it difficult to fully adhere to a new diet," says Dr. Marshall. The diet includes fresh vegetables and fruits; whole grains; olive oil; nuts; legumes; fish; moderate amounts of poultry, eggs, and dairy; moderate amounts of red wine; and red meat only sparingly. Get enough sleep. "Growing evidence suggests that improved sleep can help prevent Alzheimer's and is linked to greater amyloid clearance from the brain," says Dr. Marshall. Aim for seven to eight hours per night. We have some—but not enough—evidence that the following lifestyle choices help prevent Alzheimer's. Learn new things. "We think that cognitively stimulating activities may be helpful in preventing Alzheimer's, but the evidence for their benefit is often limited to improvement in a learned task, such as a thinking skills test, that does not generalize to overall improvement in thinking skills and activities of daily living," says Dr. Marshall. Connect socially. "We think that greater social contact helps prevent Alzheimer's," explains Dr. Marshall, but so far, "there is only information from observational studies." Drink—but just a little. There is conflicting evidence about the benefit of moderate alcohol intake (one drink per day for women, one or two for men) and reduced risk of Alzheimer's. "It is thought that wine in particular, and not other forms of alcohol, may be helpful, but this has not been proved," says Dr. Marshall. Even though we don't have enough evidence that all healthy lifestyle choices prevent Alzheimer's, we do know they can prevent other chronic problems. For example, limiting alcohol intake can help reduce the risk for certain cancers, such as breast cancer. Best advice: make as many healthy lifestyle choices as you can. "They're all beneficial, and if they help you avoid Alzheimer's, all the better," says Dr. Marshall. Forgetting where you parked your car can be annoying. If it happens all the time, it can be disturbing, and you may worry that it's a sign of a more serious condition. But don't panic. There's a difference between normal age-related memory slips, such as forgetting where the car keys are, and more serious signs of memory loss, such as forgetting what car keys are used for. Early symptoms of Alzheimer's disease include frequent memory loss, confusion about locations, taking longer to accomplish normal daily tasks, trouble handling money and paying bills, loss of spontaneity, and mood and personality changes. "If you have a decline in your memory or thinking that affects your ability to perform any of your daily routines, ask your doctor for a screening to evaluate you for Alzheimer's and related conditions," says Dr. Gad Marshall, a Harvard Medical School assistant professor of neurology.